Waking up to the sound of pitter-patter on the roof, opening eyes to the valley-view with clouds hovering around, enjoying morning hot cup of tea while feeling the fresh cold breeze on face and then lazing around at the HomeStay and treating yourself to garden fresh meals with family and friends. Doesn’t that sound like a perfect monsoon holiday?! ‘Homestays Of India’ presents to you 6 unique HomeStays where you can have magical monsoon vacation and unwind with your family and friends without having a hole in the pocket. 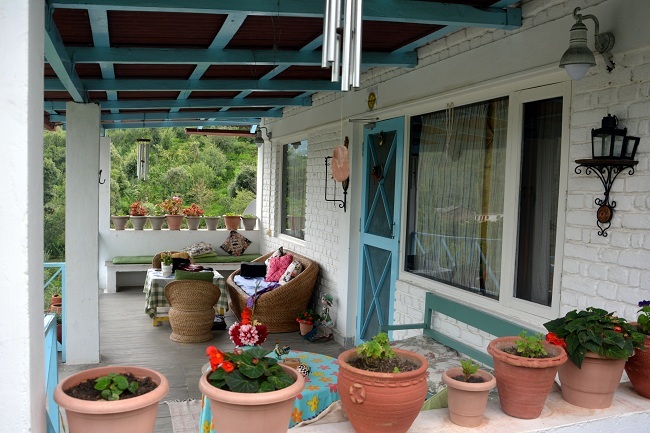 Tucked away on a hill, tastefully done spacious rooms perfectly accessorized with the most beautiful home accents, ever smiling and helpful local staff, articulate and warm host – this is the perfect homestay to spend few days unwinding with your family and friends while enjoying the rains. Sit lazying around in the varandah sipping hot tea listening to the music of the rain drops. What can be a better way to experience and enjoy monsoons than to live in a farm house in the care of hospitable local family and treat your taste buds to fresh farm-to-table meals. 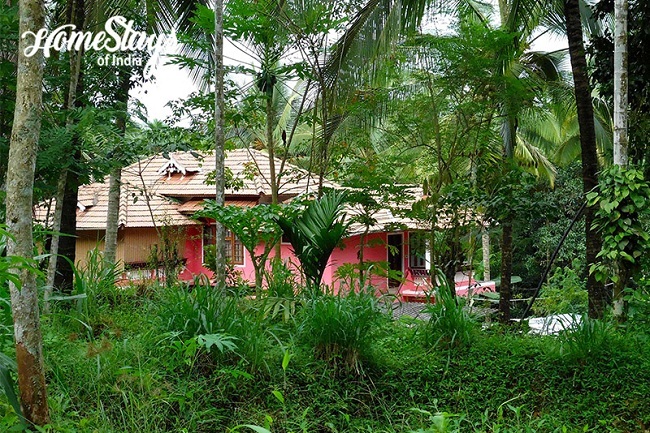 Spread across 15 acres the property is surrounded by the lush greenery. The farmland has plantations of Coffee, Pepper, Coconut, Cardamom, Areca nut, Rubber forest and livestock like Cows, Buffalos, Rabbits, Chicken and Ducks. 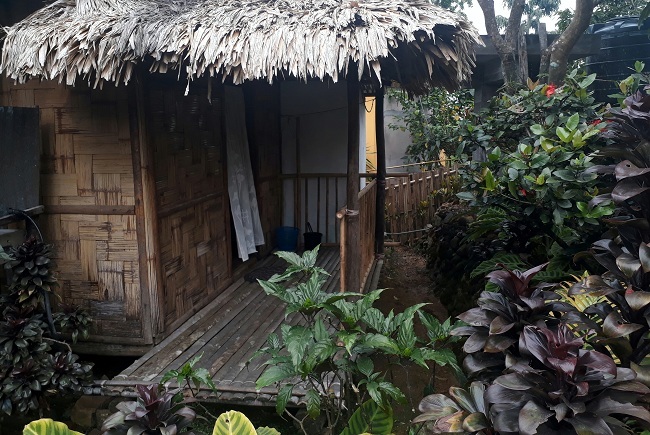 Experience the charm of Meghalaya monsoon while staying in a traditional bamboo hut at Asia’s cleanest village Mawlynnong. Wake up to singing birds, breathe in the fresh air laden with sweet fragrance of flowers and take a walk around the lovely village while colorful butterflies dancing around you. 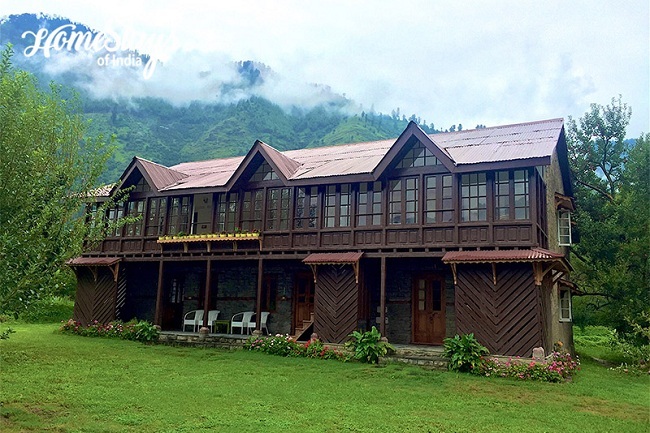 This trational Himachali haveli made in “Kat-Kooni” style of architecture will transport you to the old world charm. 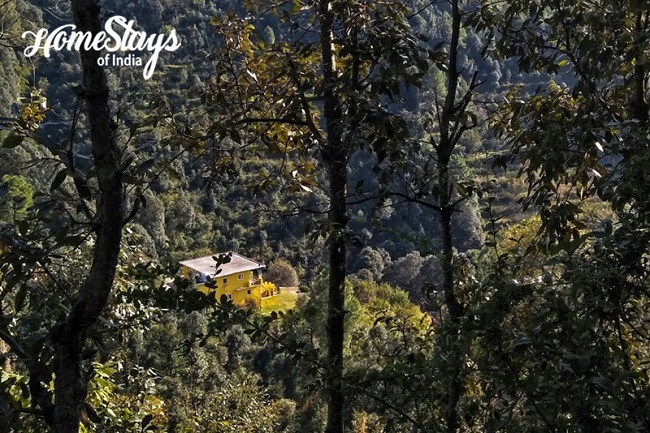 Misty mountains, lush greenery and occasional downpours will make your stay in this luxurious homestay a memorable one. 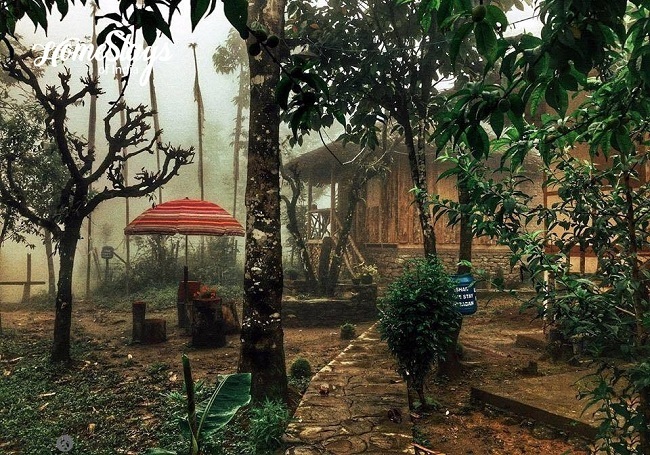 Monsoon is bliss here in this traditional Sikkimese cottage. Sit back and relax with a book, take a walk among the plantations, trek to the waterfall and the lake or just spend time lazing around and enjoying home cooked farm fresh meals with your loved ones. Drive though the green valleys and mist covered mountains to reach this lovely cozy stay in midst of oak and rhododendron forest. It is a perfect place to relax in the balcony with a cup of coffee and watch the rains and witness the freshness that only the downpour can bring. P.S. – Please click on the titles for the details of the homestay and to book it.